Anxiety getting the best of you? Sleep on it! Setting healthy sleep habits are more important than you think. 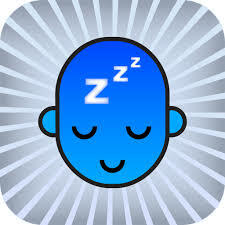 Did you know that sleep helps the nervous system function properly? Without proper sleep our overall task performance begins to plumet. Studies have shown that when people fail to get enough sleep, concentration, coordination, memory, and mood all suffer. 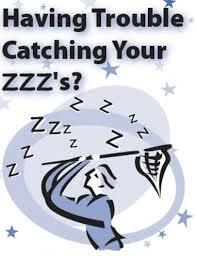 And, sleep disturbances often affect or exacerbate both psychiatric and neurological disorders. Feeling moody, anxious and forgetful? Missing a few hours of sleep only makes things worse? Studies also show that people with chronic insomnia or regular sleep disturbances are at high risk of developing or triggering an anxiety and mood disorders. Tips for getting some extra Z’s! 1) Make sleep a priority! Block out seven to nine hours for a full night of uninterrupted sleep. Let your spouse, children or roommates know your plan. 2) Establish a regular sleep routine. Try to go to bed and wake up at the same time every day – including weekends. 3) Avoid stimulants before bed. Those include: Coffee, Chocolate, Nicotine, TV, Computer use, and Cell Phone use. 4) Set the mood. Read a book, listen to soft music, or meditate. Make sure your bedroom is cool, dark, and quiet. Consider using a fan or sound machine to drown out excess noise. 5) Use your bedroom as a bedroom — not for watching TV or doing work! 6) Get into bed only when you are tired. If you don’t fall asleep within 15 minutes, go to another room and do something relaxing. 7) Exercise regularly, but limit your workouts to mornings and afternoons. 8) Avoid the clock! Checking the time can make you anxious in the middle of the night. Turn the clock away from you.